Golden State finished with Denver in the direct duel for the lead. Curry (31), Thompson (31) and Durant (27) were a perfect machine. These Golden State Warriors are one of the best teams in the history of basketball. Perhaps the biggest ever. And sometimes this fact is forgotten, especially during these eternal regular seasons, where by sheer inertia they reach the playoffs with more than 55 victories (they are four courses in a row like this) only in fourth. That is why, when the script, the party demands it, they remind us and take everything they find to the front, like a giant cyclone. Free the beast of a thousand heads, which this morning suffered, as it was a long time ago we saw ourselves, the Denver Nuggets (111-142) in the fight for the first place in the Western Conference. The Colorado match was a real show of power by the current NBA champion. The superlative version of the Bay franchise came to light at the Pepsi Center. 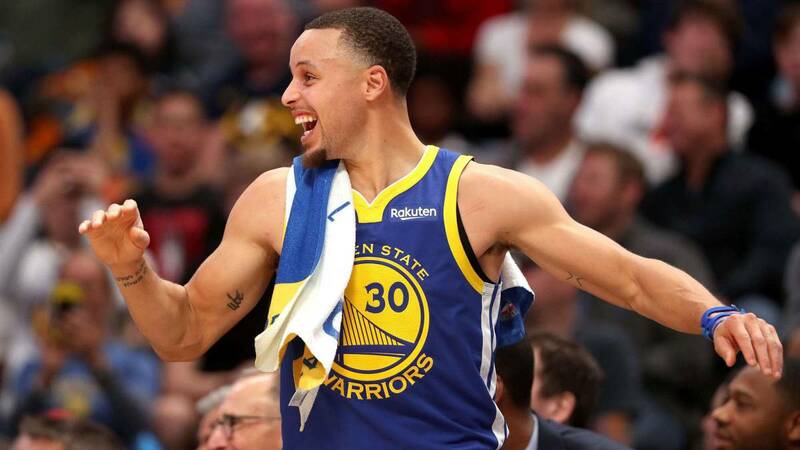 The almost 20,000 fans present felt in their flesh the voracity of the perfect machine created by Steve Kerr: in the first quarter, the Warriors had already reached 51 points, the highest score ever in the initial 12 minutes of a game. Denver was in a worthy 38, trying to shelter from the bombardment that reached them from the perimeter: 10 triples of 14 attempts, record the franchise. Four by Stephen Curry and three by Klay Thompson and Kevin Durant. "I do not remember a better first room." It was a fireworks show, "said Kerr. And they had only started. The defense of the Nuggets was unable to cover something and the Warriors exploited every centimeter that his opponent backed down. At rest, the distance between one and another was already 19 (60-79) despite the disappointing 13 of 26 from the outside of the visitors, who are conditioning the house in the best possible way for DeMarcus Cousins ( " We hope it will be devastating for the rest, "Green said of the return. The pivot will return in one of the next three games (Pelicans, Clippers or Lakers) and will find an oil raft, with Golden State as leader of the West after this brutal blow at the table and with a chemistry apparently recovered after the incident between Kevin Durant and Draymond Green from last November. Maybe the two are no longer friends. That they can not stand. But when the clock starts to walk, both have the same goal: the ring. The festival of the Warriors was completed at the close of the third quarter (83-112). Curry, Thompson and Durant added the same points as all the Nuggets and accumulated 74% of the score of his team. 90% of the hits from the triple (18 of 20). 70% of the total field shots (31 of 44). The base (31 at the end), the guard (31) and the forward (27) did not play more than 30 minutes (only Thompson was at the beginning of the last quarter on the court), becoming the first trio of always to score the minus 25 points in that time or less (ESPN Stats). To these three we must unite the role of Draymond Green. Rocky and consistent, the Warriors presented a +41 with him on the court ... with only four points. He took 6 rebounds and handed out 12 assists. "Golden State sent a message tonight. They have a great level, we do not have it yet, we must learn and move forward," said Mike Malone, coach of Nuggets, who lost the first place of the West and where Jokic managed 17 points and gave 8 assists. Beasley was the top scorer in Denver with 22 points, followed by Murray (21). Juancho Hernangómez, who left again from the bench, signed 7 points in 16 minutes of a game that certified the fifth victory followed by the Warriors away from home and the ninth in the last ten games away from the Oracle. Important notice for navigators of the new leader of the Western Conference.